For a while, we were absorbed in witnessing the place that had connections with one of the greatest of emperors of India and the last ruler who ruled the entire Bharatkanda. 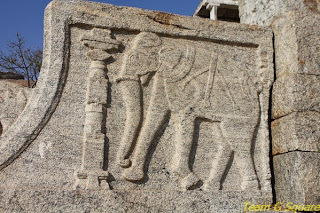 Hereon, we moved towards the Rameshwara temple complex. 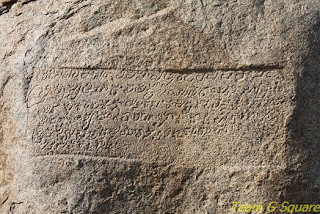 As per the legend and one of the inscriptions present here, this place is believed to have been the place where Jatayu, the bird that courageously fought against the demon Ravana to save Goddess Sita from his evil hands was killed. Lord Rama installed a Shiva Linga in memory of Jatayu and hence the name Jatinga Rameshwara. 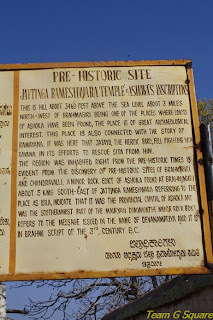 According to an ASI official whom we met later during our journey, there is a grave on the hill top made of big bricks, probably of the same bird. 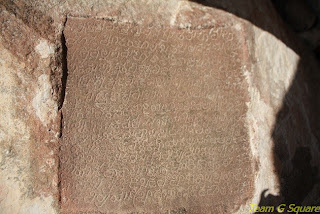 According to another inscription, this temple was a ruined brick structure with beautiful Shiva Linga in it, which was later renovated in AD 962, using stone by a person named Lingshivaji, who was responsible for building the other temples in the complex. Lingshivaji supposedly was a beggar. 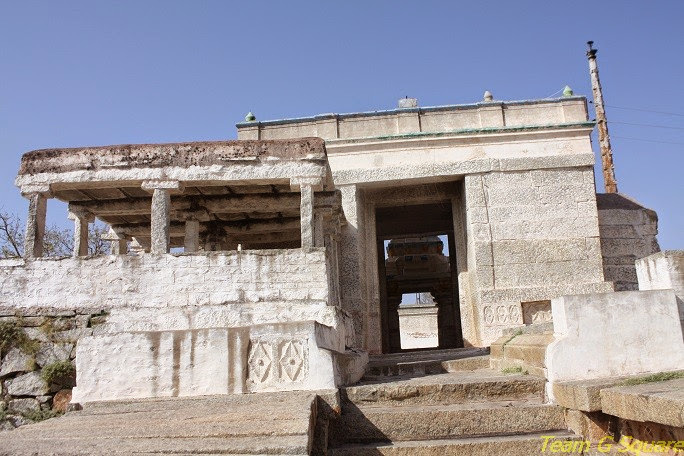 Later in AD 1064, the Kalyana Chalukyan King Vijayaditya made more improvements to this temple. There are at least 5 stone inscriptions present here that describe stories relating Jatinga Rameshwara to the Ramayana, Chalukyas, Hoysalas, Nolambas and Palegars. 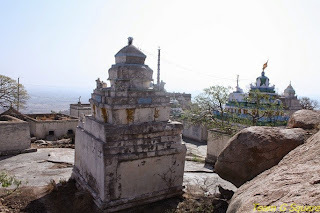 The most important temple in the complex is the Jatinga Rameshwara temple. There are many small temples dedicated to Lords Virabhadra, Ganesha, Parushurama, and Mahisasuramardhini. The most striking feature of the temple complex for us was the Keerthistamba (Pillar). 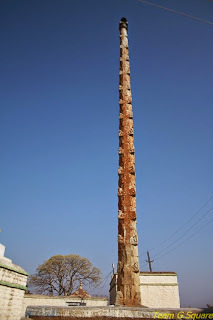 The pillar stands tall and is beautifully carved. According to the book ‘Bramhagiri’ by Dr. S.Y. 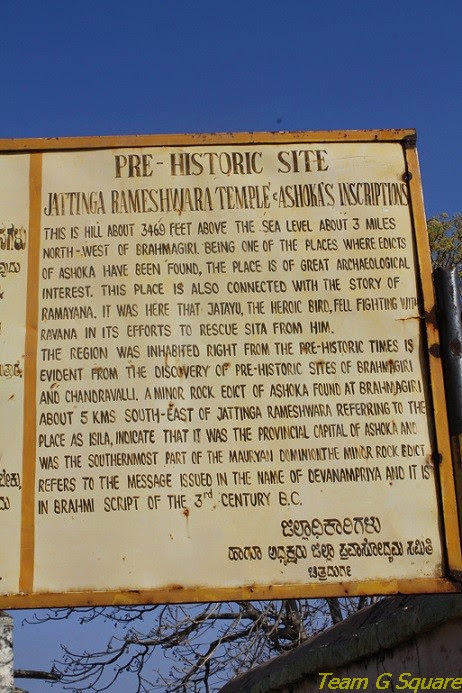 Somashekar, enough evidence exists to confirm its association with pre historic times. The real adventure had just begun……………. So happy to be here to see the continuity of your adventure. 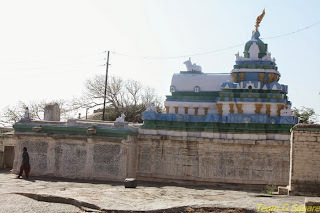 I have also come across a temple near Kumbhkonam where last rites of Jatayu was conducted. 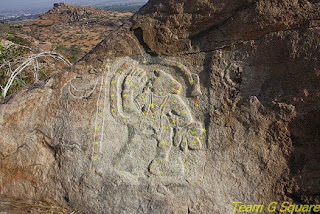 there is also image of jatayu inside the sanctum. Many devotees offer worship to God to get moksha for their ancestors. The history of this place (and your photos) are fascinating. It's hard to believe that your real adventure has not yet begun. Another fantastic and fascinating post and clicks! Amazing history and what an incredible adventure you are enjoying! Thanks for sharing with us!! Great to know about this temple complex. This is so interesting, the temple indeed looks like a very ancient one. Wonder what lies ahead in the adventure, looking forward! So fascinating and amazing indeed! Such an incredible old temple!! Thanks for sharing and I'm looking forward to more!! Could you please give us a route map from Blore to the Temple. Cheers, your blogs absolute joy. This place is located off Bangalore - Bellary highway, about 270 km from Bangalore . Very beautifully written and your narrative has the same style of Corbett.